Springing & Flinging At Michigan Fibre Studio! Hi Everybody! Happy Spring! We hope it is finally here to stay. We are keeping our fingers crossed. We have so many happenings here at the Studio this spring and we want you to be able to be a part of as much of it as possible. Right now, we are gearing up for WEST MICHIGAN YARN QUEST! Starting this Saturday, 10 locally owned yarn shops in Mid-Western Michigan are hosting a yarn-hop. It covers two complete weeks, including three Saturdays so there is no excuse to not make it. Grab your friends and make your rounds. 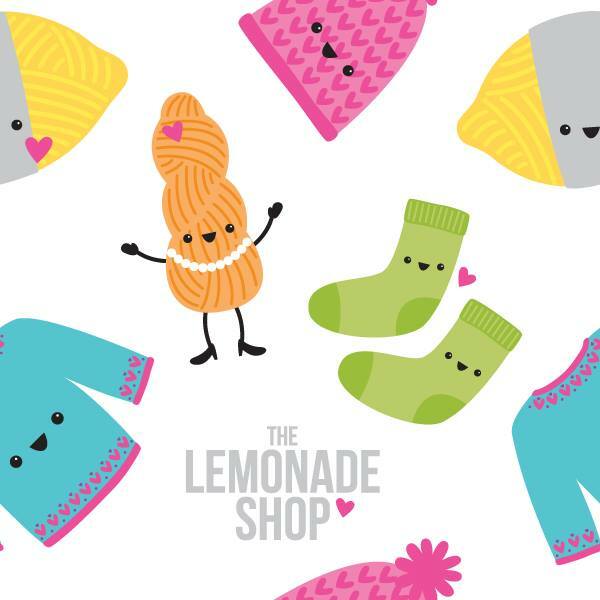 Your passport purchase will get you a piece of a knitting pattern at each of the shops, a mini-skein to use in the project, entries into daily drawings at the shops you visit, and a 20% discount on stock yarn purchases. A full passport will put you into a drawing worth well over $1000. A submitted passport with eight stamps will enter you into a runner’s-up drawing worth over $500. Get your passports soon, though ~ they are selling quickly! So, what better way to celebrate Yarn Quest than with TRUNK SHOWS?! Each weekend we have different dyers’ work in our studio. Come explore their colors and fibres. You may even be able to knit a stitch or share a joke with the artists! If you have something made with their yarns, bring it on down. They love seeing their yarn become something wonderful and loved! Lastly, we have our class schedule set up for Spring 2018. Really great technique offerings this season ~ you don’t want to miss out on adding these skills to your repertoire! Check out our listings below. A simple click on the date you want to take the class will have you on your way to signing up and purchasing your seat in the class. Do you want to create your own class? Call or email us! We would be happy to set up a private lesson or even a group class for your group. Our Basics! classes teach you the beginning stitches that are the basis of all knitting and crocheting. You will also learn variations of the techniques and helpful tips. It’s all you need to get you started. The Beyond Basics! class teaches you the next step in your journey. Have Karin help you through the crochet class or choose to learn knitting and have Heather guide you. Each Basics! class is one two hour session and costs $20. Knitting a sock, a dishcloth, a baby blanket or casting on stitches in the middle of a project all have different demands of their beginning stitches. In this workshop, Amy Gallmeyer will go over several different methods and the best places to use them and why. A great class for both the beginning and experienced knitter! Click on the link below to purchase the class and check out the materials list. So now you know how to fancifully and accurately cast on those stitches, how about binding them off? Say good bye to the too-tight sock cuff or the loosey-goosey sweater collar! Amy Gallmeyer will walk you through several different bind off techniques and the best times to use them. You don’t need to take the Cast On Workshop in order to take the Bind Off or vice~versa, but we think you may just want to! Click the link below to purchase your class today! Have beaded projects caught your eye? Ever wonder how they get on to the stitches? Amy Gallmeyer has the answers and is willing to share! The Beaded Waves Cuff Workshop will walk you through adding beads to your knitted projects while working on a fun bracelet pattern by Laura Nelkin. Click the date below to purchase the class and satisfy that curiosity! Continental Knitting, where the yarn is held in the left hand and ‘picked’ with the needle in the right, is a great skill to have! You will find it useful for doing color work as you can hold a different color in each hand as you knit. Like magic! Some knitters report that after regular use of the skill, they knit faster and more efficiently. Come learn from Amy Gallmeyer the best way to hold your yarn, your needles and how to use your fingers and hands to keep a steady tension, and the stitches moving efficiently on the needles. Pack Your Snacks & Plot Your Courses! 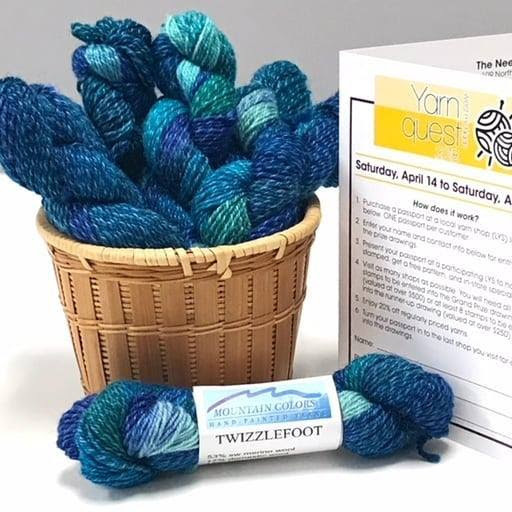 This year at the time of purchase of the passport, the shops will be handing out 1 mini skein of Mountain Color’s Twizzlefoot. 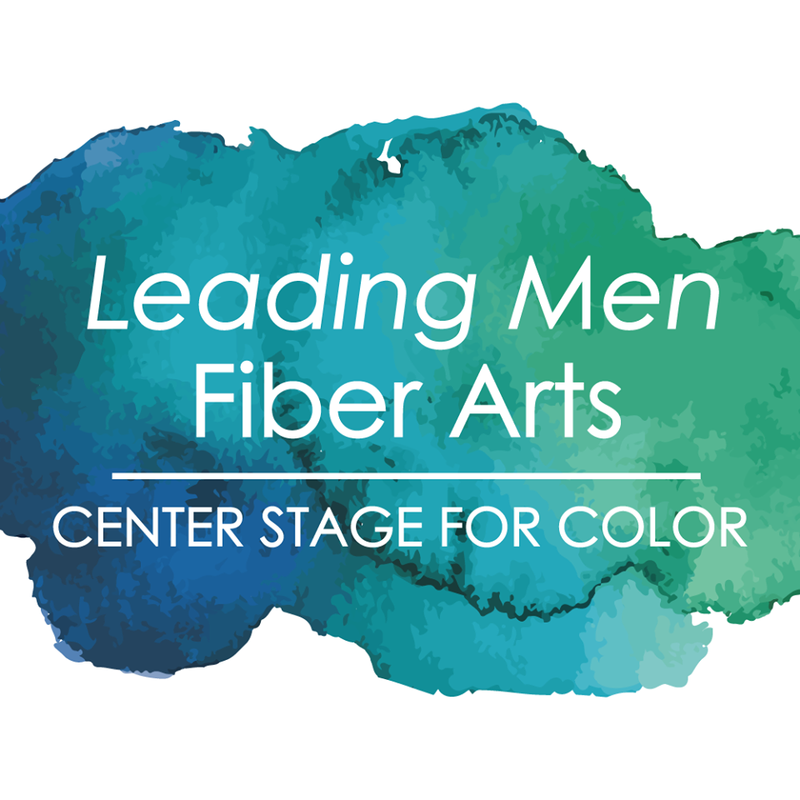 Michigan Cool Waters has been exclusively dyed for West Michigan Yarn Quest and will be available only at the participating shops. It is an integral part of this year’s pattern, so you may just want to hold on to it. Too tempted and need to use it now? There will be some for sale here at the Studio. Passports are limited quantity, so you are going to want to get yours right away. Purchase your passport in the Studio, on line or even over the phone. We will be happy to mail it to you or make us your first stop and we will keep it at Michigan Fibre Studio for pick up. Find more information, including our extended Yarn Quest hours HERE. Grab your friends and pack some snacks! It’s time to hit the road and enjoy your local and not so local yarn shops in this adventurous yarn crawl! Crochet, weave, knit, felt or spin with us, we love all of the fibre crafts! Open until 9 every Thursday.